I’m excited to preview Richard Schmid’s brand new print! Aspen Forest- Rocky Mountain National Park image size 12″ x 20″. 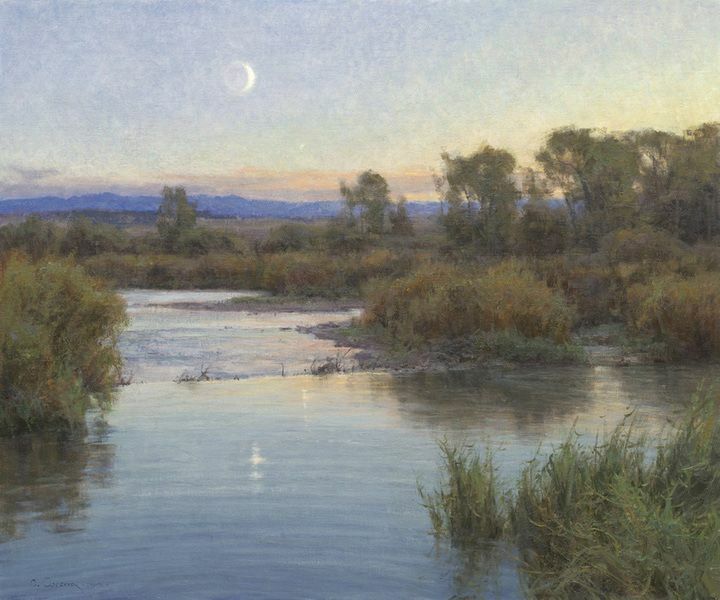 The signed print will be for sale Saturday, September 24 during the luncheon/ fundraiser and panel discussion I’m hosting at History Colorado Center and later, at the Richard Schmid: A Retrospective Exhibition at Gallery 1261 in Denver, CO. The public opening is from 6:30- 9 pm. The historic day begins at 12:00 pm in the Colorado room at the History Colorado Center 1200 Broadway, in Denver. It includes a delicious luncheon buffet, a digital presentation of Mr. Schmid’s paintings of Colorado produced by myself and Nancy Guzik. The afternoon also includes a short film on Rocky Mountain Conservancy’s ongoing efforts to acquire and preserve available lands inside the boundaries of Rocky Mountain National Park. 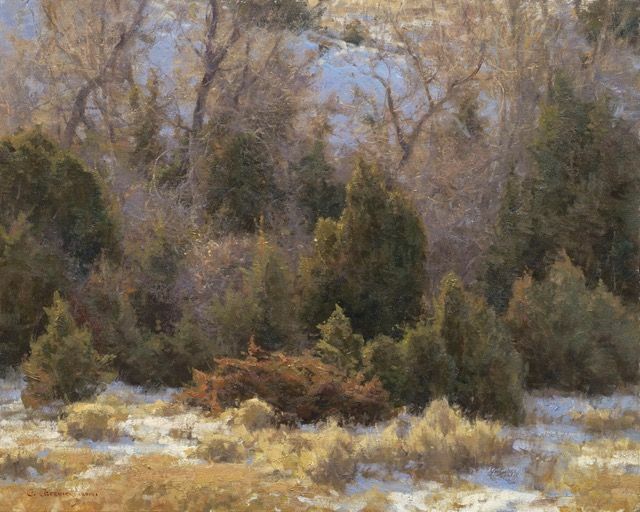 Charles Money, Executive Director of the Rocky Mountain Conservancy will give a short talk and present Richard Schmid with an award for his generous contribution- 100% of sales from the print, Aspen Forest. Each print is $85. The afternoon ends with a panel discussion by leading artists, Quang Ho, Kathy Anderson, Scott Burdick, Daniel J. Keys and Judy Stach. 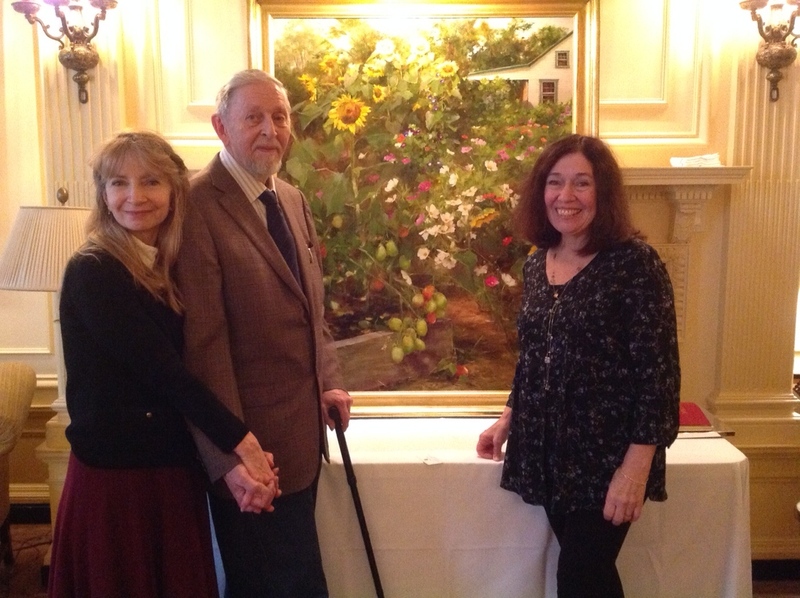 Their topic will be, How Richard Schmid influenced my own art and the importance of painting Nature directly from Life! To reserve and purchase tickets for the afternoon events, please go over to http://www.WestWindFineArt.com shopping cart. Tickets are $72 each. Ticket holder’s names will be at the registration desk, just outside the Colorado room. Since there’s a ticket counter on the shopping cart, please place your order individually for each reservation. Then, later on that evening, please join us for the Opening Reception of Richard Schmid’s historic Retrospective Exhibition, featuring 30 oils and drawings from private collections. The reception is free and open to the public and is hosted by West Wind Fine Art, LLC and Gallery 1261, located at 1261 Delaware Street in Denver from 6:30–9:00 pm. As curator, I’m also delighted to present 5 new exquisite oils by Richard and I’m happy to report that his painting, Begonias, will grace the cover of Southwest art magazine. The weekend festivities end with a book signing by Richard Schmid at Gallery 1261 from 11:00 am to 12:00 noon. Richard will be on hand to personally autograph his books, Alla Prima II and The Landscapes as well as his new limited edition print Aspen Forest. In addition, I also want to acknowledge our wonderful sponsors. Chris Serr, Quang Ho and Dave Ethridge of Gallery 1261; Joshua Rose, Executive Editor of American Art Collector Magazine; and our dear friends and sponsors, Symi & Rosemary Jackson of Rosemary Brushes. Cosmic Couple, Richard Schmid and Nancy Guzik! 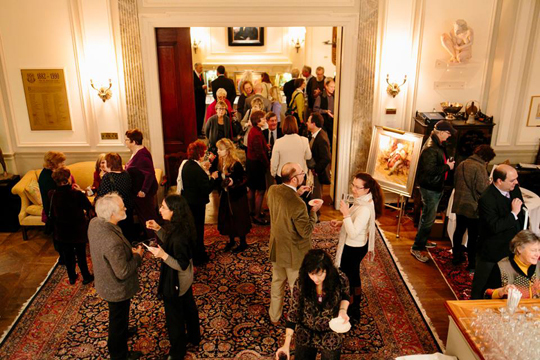 More updates on our upcoming RICHARD SCHMID: A RETROSPECTIVE EXHIBITION! So far, we’ve been fortunate to obtain about thirty of Richard’s oils and drawings from private collections. The Artist’s Reception and Opening is scheduled for September 24, 2016 and is being co-hosted by myself and my colleagues Christine Serr and Dave Ethridge of Gallery 1261 from 6:00 to 9:00 pm. The address is 1261 Delaware Street, Denver, CO. In addition to artworks from private collections that are NFS, Richard told me he’ll have at least five new paintings available for sale. “Begonias” oil 16″ x 20″ posted at the top of this page is just one exquisite example. I’ve been selling many tickets to the Saturday afternoon Fundraising event to honor Richard Schmid’s fine art career and Nature’s beauty. In addition to a delicious luncheon, we’re happy to announce that Quang Ho, Scott Burdick, Kathy Anderson, Daniel J. Keys and Judy Stach will take part in a compelling panel discussion on the importance of painting directly from life and tell us why Richard’s art and knowledge of plein air painting influenced their own fine art careers. 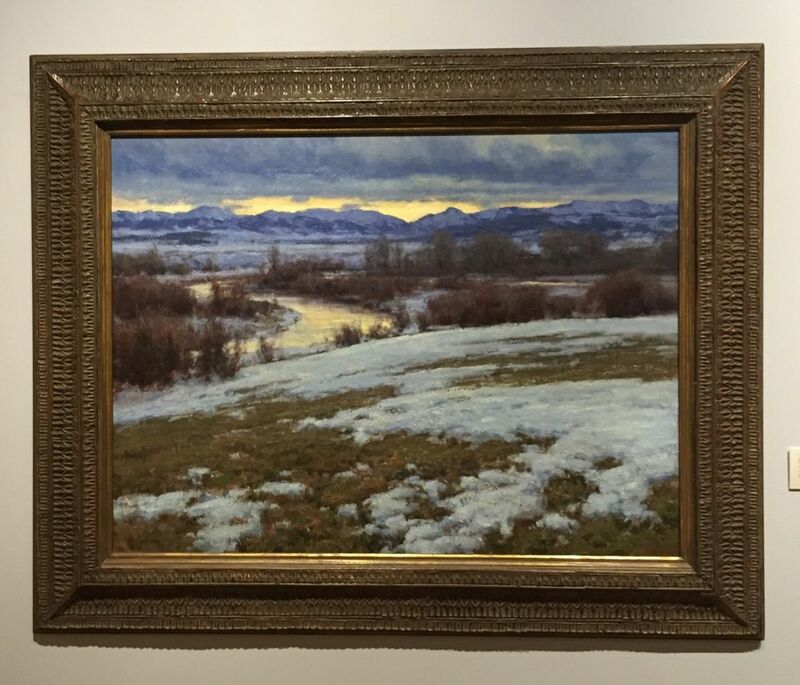 We’ll also be showing a special digital presentation comprised of the best of Richard’s paintings of Colorado. Nancy Guzik and I are working on the short film now! In addition, Charles Money, the executive Director of the Rocky Mountain Conservancy will give a short presentation and present Richard with an award for helping to assist the Rocky Mountain Conservancy in their ongoing efforts to preserve and acquire available lands inside the boundaries of Rocky Mountain National Park. We are in the process of producing a small limited edition print of one of Richard’s most iconic paintings of Rocky Mountain National Park with sales proceeds donated to the RMC after expenses. So if you are interested in attending, please check out the 2016 Gallery Events page on http://www.WestWindFineArt.com and purchase a ticket from the shopping cart before they’ re all sold out! Partial proceeds after expenses will be donated to the RMC’s noble cause. The event is being held at the History Colorado Center at 1200 Broadway, Denver, CO from noon to 4:30 pm. We’re also happy to announce that Richard has agreed to a book signing, now scheduled on Sunday, Sept. 25 from 11:00 am to noon at Gallery 1261 located at 1261 Delaware Street, Denver, CO. This is free and open to the public. This once in a lifetime, historic exhibition is being sponsored by West Wind Fine Art LLC, Gallery 1261, Stove Prairie Press LLC, American Fine Art Magazine, the KT Wiedemann Foundation, Inc., and Rosemary Brushes, Inc. So, please mark your calendars for the weekend of September 24th and 25th and join us in celebrating the exquisite and amazing Art of Richard Schmid! Clyde Aspevig’s landmark exhibition, Nature & Nuance, at the Booth Museum in Cartersville, Georgia, beautifully reflects Van Gogh’s wisdom above. The opening reception, on March 12th, included a gallery walk with Clyde describing 30 of his works, followed by his sold-out evening lecture. * Nature & Nuance is on view until May 10, 2015. Artists and collectors from 20 different states in America and Canada traveled to the Booth to learn from Aspevig, who is regarded as one of the finest landscape painters of our time. Many more were not fortunate enough to get a ticket to his live 2 ½ hour painting demonstration. During the demo, Clyde shared his approach to plein air painting and encouraged artists to go out into nature to paint field studies and then create studio works inspired by nature’s colors. He also urged them to use their memories and imagination. “I aim to create believable scenes that convey emotion. Digital photography is remarkable,” he continued, “but artists are painters, not photographers. It’s all about interpretation.” I would like to add the importance and power of keen observation, and curiosity, too! Around the 12th of September the crescent moon and the planet Mercury appear in the horizon at dusk. This particular evening I walked down to the beaver dam in front of our house to watch the activity of a family of beavers. As soon as I arrived, the parents slapped their tails to warn the youngsters. The kits dove away from the perceived danger. I then made a gentle splash with my hand, making ripples on the water, which moved across the pond. The male beaver, sensing this disruption, surfaced to challenge the intruder. He circled the pond making sure his domain and family were safe. Between the moon, the planet and the beavers, I considered the immensity of the moment. A solution near and dear to him and his wife, artist Carol Guzman, is “Land Snorkeling,” a name they coined to describe the art of simply being in nature. 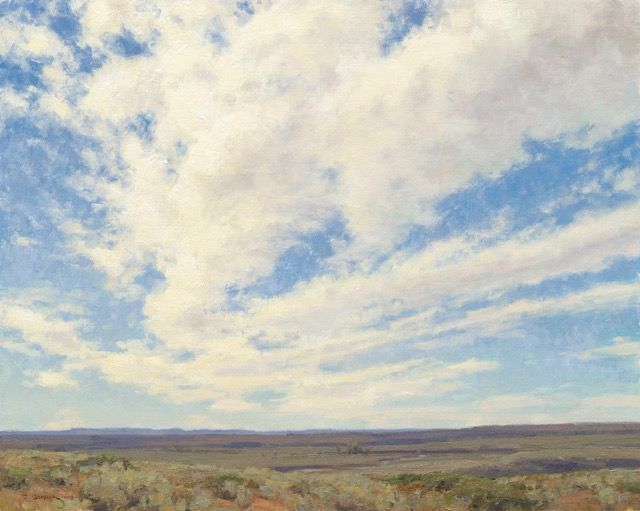 “The idea is to go outside to wander and wonder and to look at nature from different perspectives – to take a closer look and experience the simple elegance of a cloud.” Clyde also hopes that viewers of his art are motivated to help preserve the undeveloped areas of the West. Although Aspevig has been painting since he was 12 years old, he possesses a keen desire to learn and continually grow as an artist. He reveres the great European and Russian masters such as Claude Monet, Isaac Levitan, and Danish-born artist Emil Carlsen. 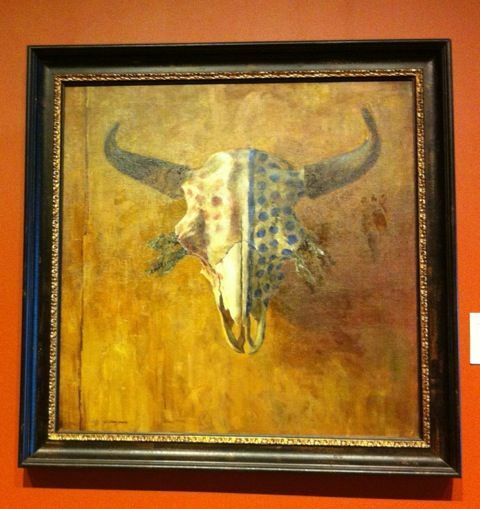 Like Carlsen, Aspevig’s use of layered under-painting gives his work a sense of pattern – like a naturalistic tapestry. Clyde also holds the art of picture framing in high regard. 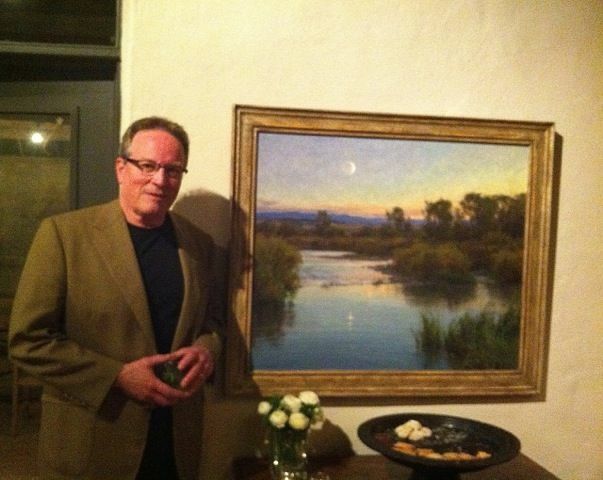 William Adair of Gold Leaf Studios in Washington, DC, framed many paintings in Nature & Nuance. Gold Leaf Studios is an internationally recognized authority on frame fabrication, conservation, and gilding, including large-scale architectural gilding. The firm maintains museum standards of conservation, mounting, and matting to protect and enhance fine artworks. The sheer atmospheric beauty of Beginning of Spring, Oil 30” x 40” is stunning. 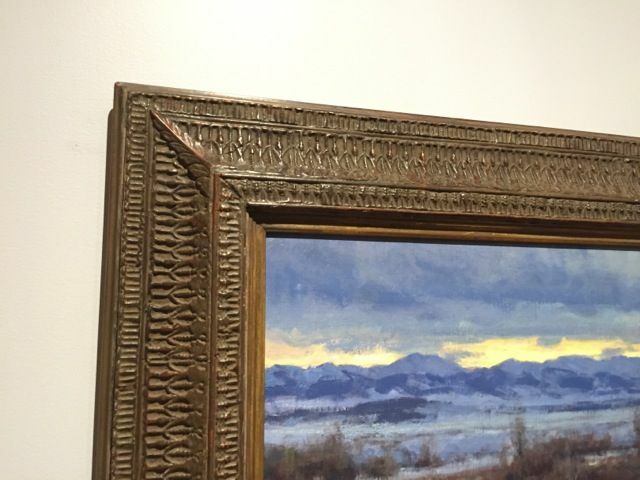 The texture and patina of Adair’s frame are a perfect complement to Clyde’s oil and create a masterful and harmonious unity between painting and frame. For those of you who want to take a closer look at Clyde’s remarkable oil, Planetary Alignment, you’ll be pleased to know that it has been acquired by the KT Wiedemann Foundation and will be on view at The Wichita Center for the Arts in Wichita, KS, along with another of his masterworks. Check out www.landsnorkle.com for more discussions on land conservation and the importance of our inter-connectedness with nature. For more information on the Booth Western Art Museum, please visit http://www.boothmuseum.org. To contact William Adair please click on his name. Please contact me, Kristen@WestWindFineArt.com for more information on the art of Clyde Aspevig and Carol Guzman.